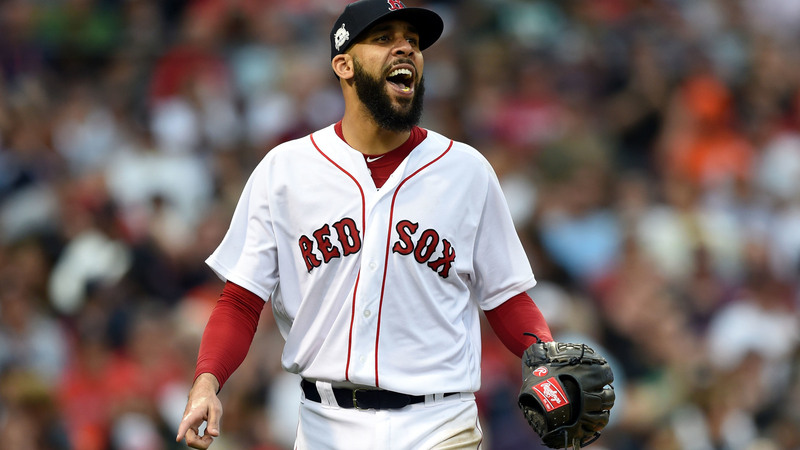 David Price, a starting pitcher for the Boston Red Sox, has some of the best stuff in baseball when he's healthy. He was chosen as the American League's best pitcher for the 2012 season, he has been named to the All-Star team five times, and he's capable of racking up both wins and strikeouts. However, he hasn't shown much of that since coming to Boston, largely because he has been injured. Big city sports media types don't care much about that, though -- especially when you're inked to a 7-year, $217 million contract. It's his third year in Beantown and he's getting roughed up. Price is allowing an average of 5.11 earned runs per game this season, and he has failed to reach the 6th inning in four of his seven starts. That doesn't cut it when you're making $31 million per year. So, what's up? Is this an aging superstar who doesn't have the stuff he used to? Are decades of hucking a baseball 100 times per game finally catching up to the 32-year-old? Price just missed a scheduled start due to "a mild case of carpal tunnel syndrome" and the Boston Globe has its own theory: Too many video games. The Athletic detailed the Boston Red Sox's fascination with Fortnite, which is the hottest video game on the planet right now. That a group of 20- and 30-year-old men play video games in their spare time is hardly newsworthy. However, the Globe has taken the opportunity to lay blame at the feet of Fortnite, as if this were the forbidden fruit that is the source of Price's problems. Although the Red Sox don't think video games caused the injury, Price vows to stop playing Fortnite in the clubhouse. This acquiescence seems to be less about preventing bodily harm and more about preventing future scoldings from the media. It's a distraction, and Price is probably keen to have as little a share of the spotlight as possible right now. When he returns to the mound, we'll almost certainly see that eliminating Fortnite won't be a cure-all that suddenly transforms Price to elite form again.